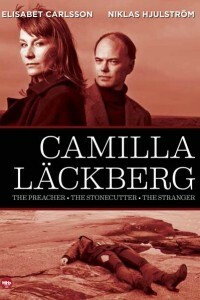 Camilla Läckberg’s wildly popular mystery novels come to life in a series of TV movies starring Niklas Hjulström and Elisabet Carlsson as Detective Patrik Hedström and his fiancée, the novelist Erica Falck. The couple becomes enmeshed in complex murder cases which affect all the residents of the stunningly beautiful coastal community of Fjällbacka on Sweden’s west coast. Underneath the idyllic façade lies another reality family feuds, domestic disputes and dark secrets. As always, Läckberg unveils the motives behind these hidden and not-so-hidden crimes with the skill of a surgeon its for good reason that shes known as Sweden’s Queen of Crime! Patrik and Erica are expecting their first child when the body of a woman is found in a rock cleft with two more skeletons hidden underneath. The investigation leads to the family of a charismatic preacher harboring long-held secrets. A lobster net brings up the body of a child off the coast. At first she appears to be the victim of an accidental drowning, but the investigation soon points to murder. Patrik, now a new father himself, and his colleagues are once again involved in a complex case with roots in the past. Patrik and Erica are making wedding plans when a deadly car crash occurs. The case is almost written off as a tragic accident, but a series of strange circumstances leads Patrik to discover that the driver was actually murdered, and that a serial killer may be back in action.